Ms. Love honors the director, who died over the weekend and who had the nerve to cast her in “The People vs. Larry Flynt” over the horrified objections of studio execs. Ms. Love is a most intelligent woman — in spite of anything you may have ever heard to the contrary. 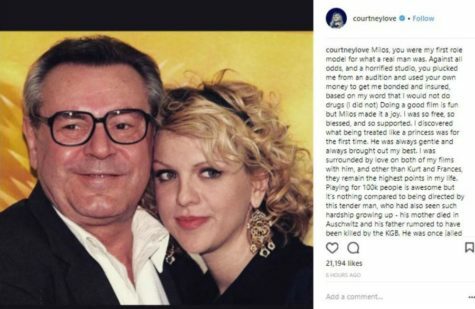 Easier to read Courtney’s tribute here. Kennedy Center Honors: Newt, Too!